Philippines – President Rodrigo Roa Duterte express his sentiments over his appointed Secretary of Environment and Natural Resources Gina Lopez after the Commission on Appointments (CA) rejected her confirmation as secretary of Environment just last May 3, 2017 on a vote of 8 -16 favoring the No votes. The President mention Gina Lopez in one of his speeches during the celebration of the 27th Philippine Orthopedic Association Mid-Year Convention in Davao, the President said that he felt sorry for Gina and he really likes the persons passion, but he cannot change the decision of Commissions on Audit where the former secretary must undergo to the scrutiny of the Commission on Appointments. The President also emphasized that he could do nothing with the decision of the CA members because they have their own democracy and alleged “lobby money talks” or the money that spent with this kind of process and eventually influence the decision of the member of the CA. The President also added that the CA decision should be recognized and respected by the existing principle of checks and balances of the Legislature and outside the Executive. On May 3, Gina Lopez confirmation was rejected by the CA on a vote of 8 -16, the 8 members that voted for Gina Lopez are all Liberal Party (LP) senators while the supposed allies of the administration are the one who rejected the President appointee’s. The opposition senators from the Liberal Party (LP) was embarrassed after they unanimity vote in favor of Lopez. The members of the Liberal Party that voted in favor of Secretary Lopez believes that the secretary matches their aspirations and advocacy in the protection, development and equitable use of natural resources for the benefit of all Filipinos. Meanwhile, the President has not released any announcement on who will replace Gina Lopez as Secretary of Environment and Natural Resources. No Comment to " Pres. 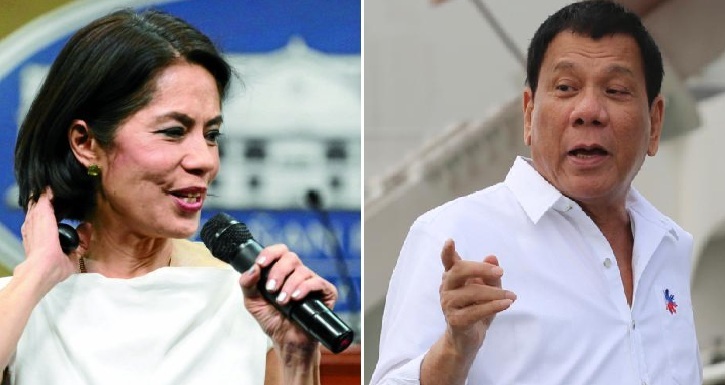 Duterte’s Reactions on Gina Lopez Denied Appointment as Environment Secretary "